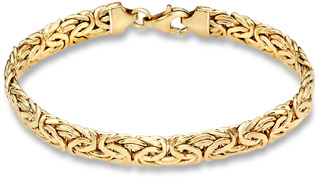 Classic 14k yellow gold Byzantine Bracelet. 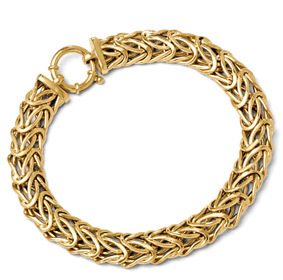 Beautifully made gold knotted intertwined pattern. This bracelet is made to last! A classic style that will remain fashionable for decades to come, this bracelet design has withstood the test of time! Measures 8mm wide (almost 5/16"). Standard with secure, designer lobster claw clasp. We guarantee our Byzantine Bracelet, 14K Yellow Gold (8mm) to be high quality, authentic jewelry, as described above.